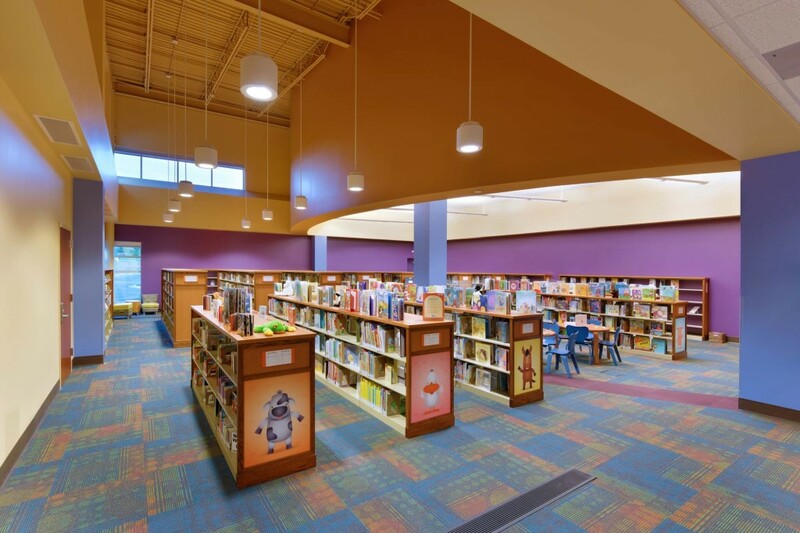 The Woodneath Branch Library is the newest addition to the Mid-Continent Library District’s collection of library facilities that cover the surrounding metropolitan areas of Kansas City, spanning three counties. 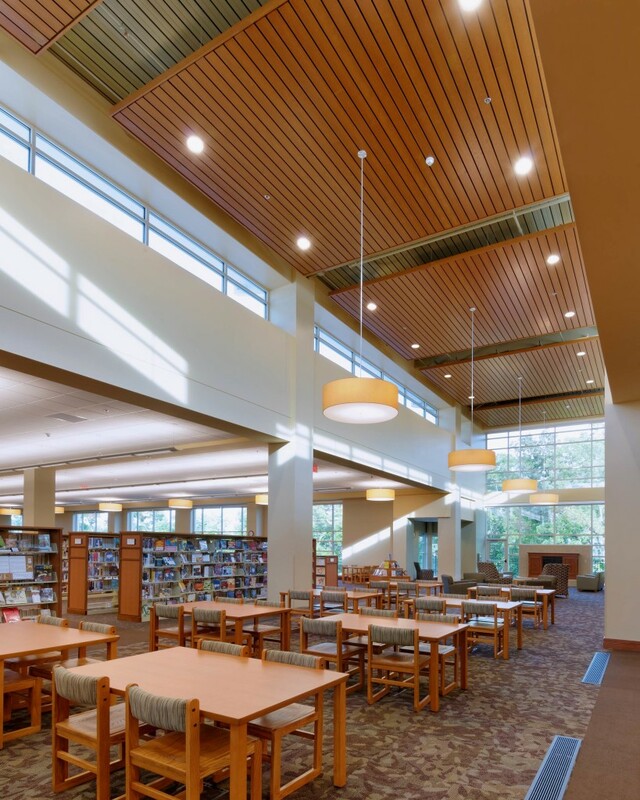 The new 35,000 square foot “destination” library will partially encompass the existing historic Elbridge Arnold “Woodneath” Homestead located at 8900 NE Flintlock Road in Kansas City, Clay County, Missouri. 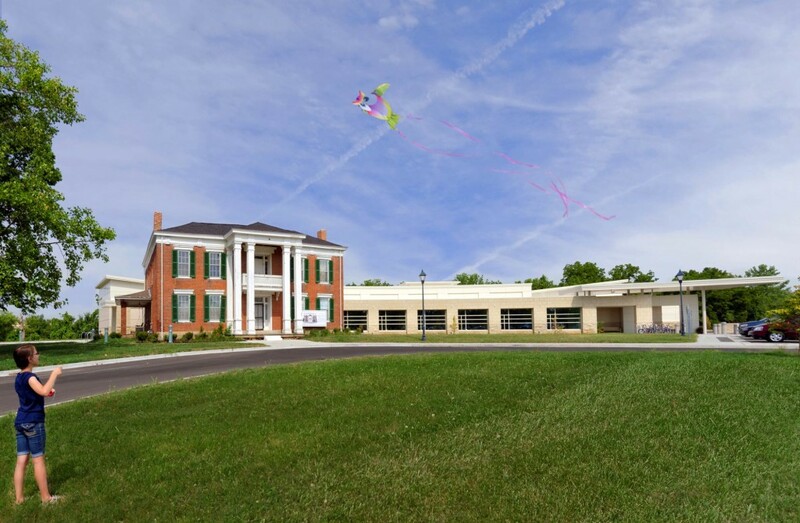 The original homestead, which is currently situated on a 33 acre site, was constructed circa 1855-1856 and is recorded with the local and federal historic registers. 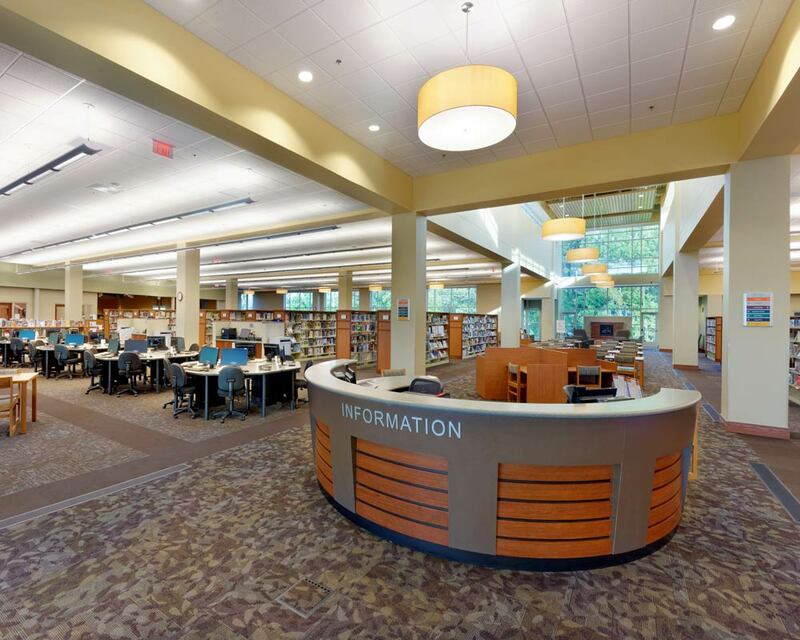 The new library includes many amenities such as public meeting areas, an automated collection sorting system, a drive thru window, considerable computer resources, private study areas, and an area dedicated to food service. 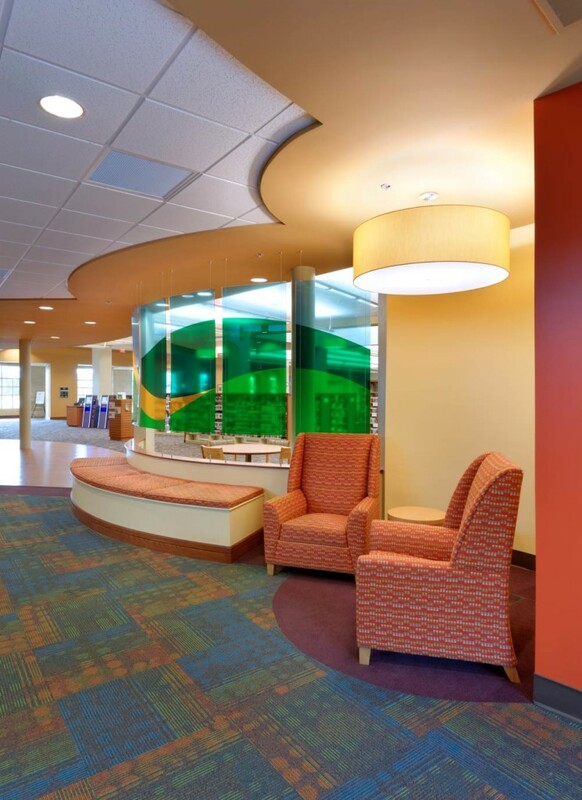 The collection areas are divided into spaces that serve appropriate age groups, with the individual areas separated by seating and reading areas. 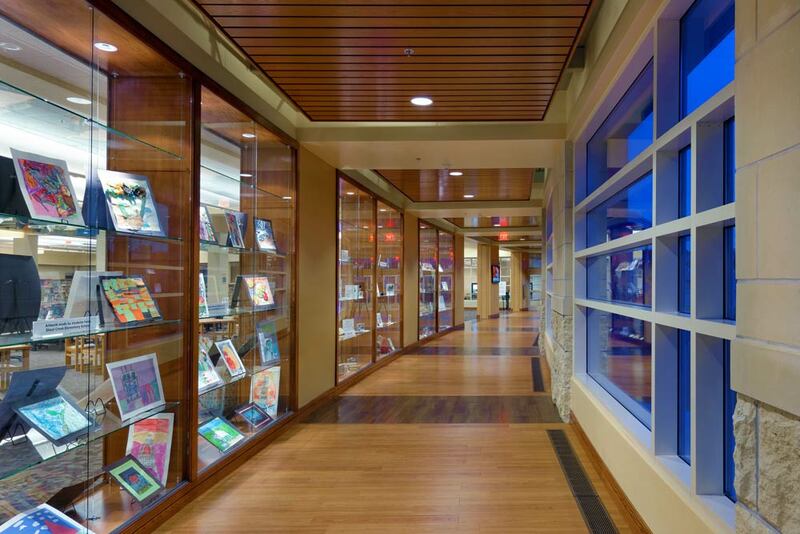 The children’s library is themed in an agricultural setting to pay homage to the rich history of the homestead’s past. 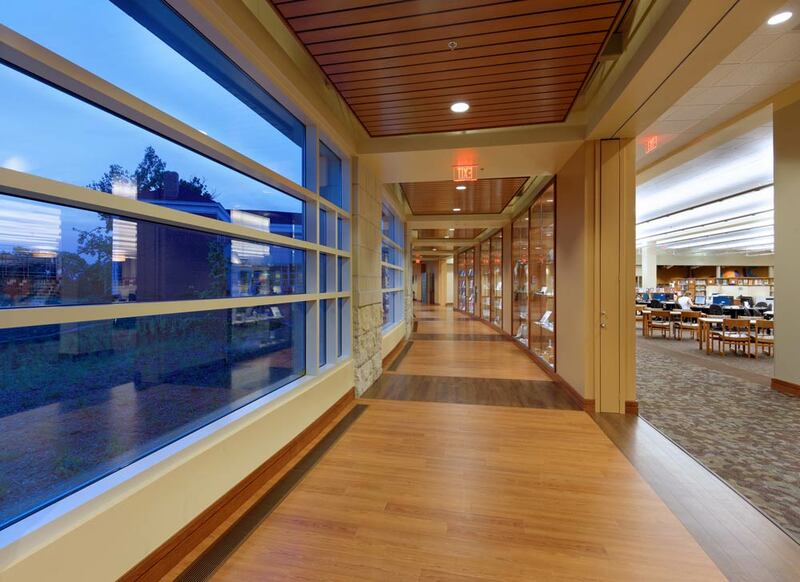 This new facility is constructed using high efficiency mechanical and lighting systems, along with a high performance building envelope, and achieved a LEED Silver Certification.